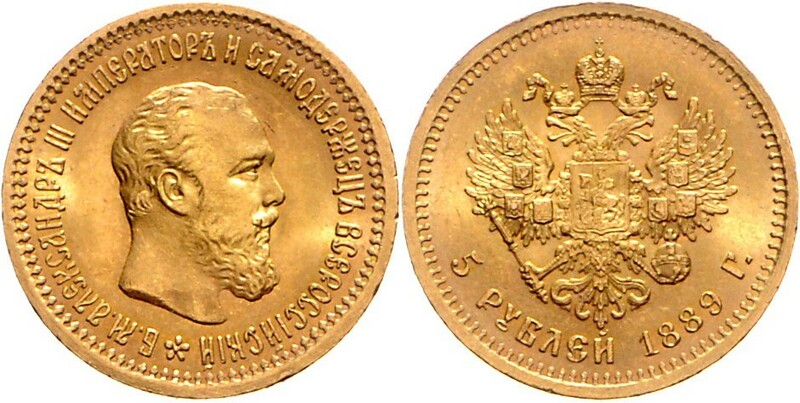 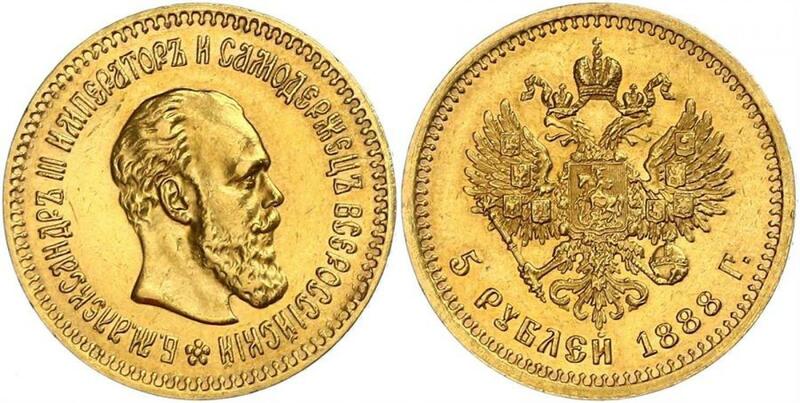 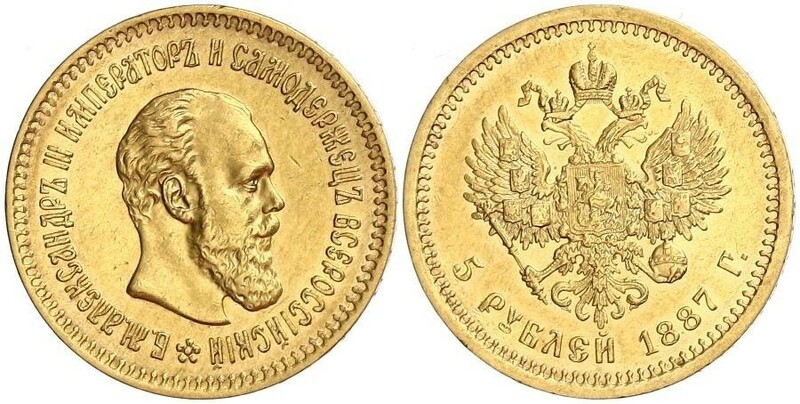 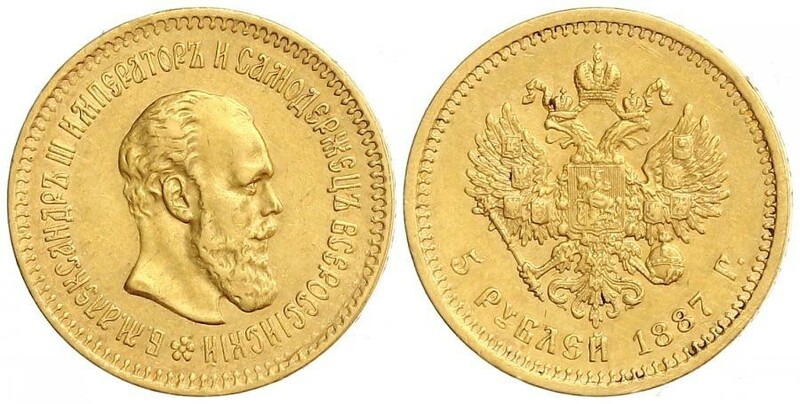 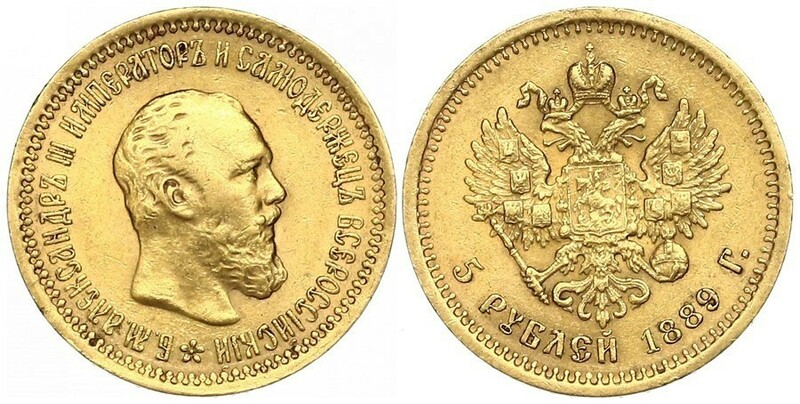 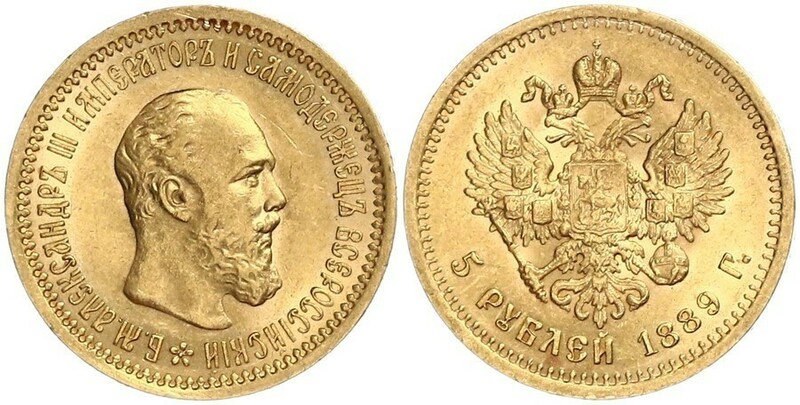 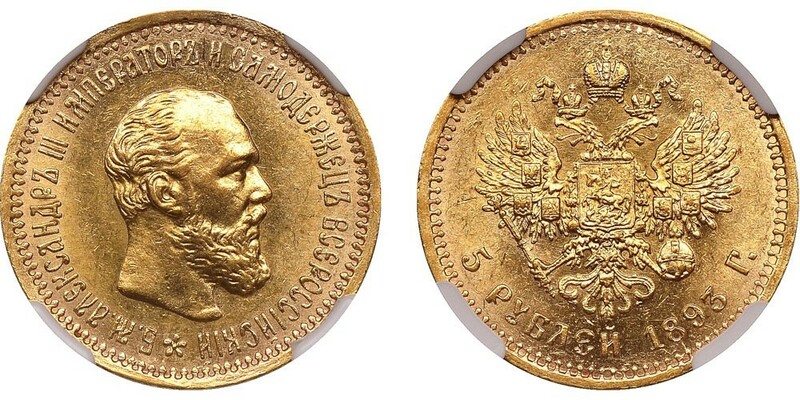 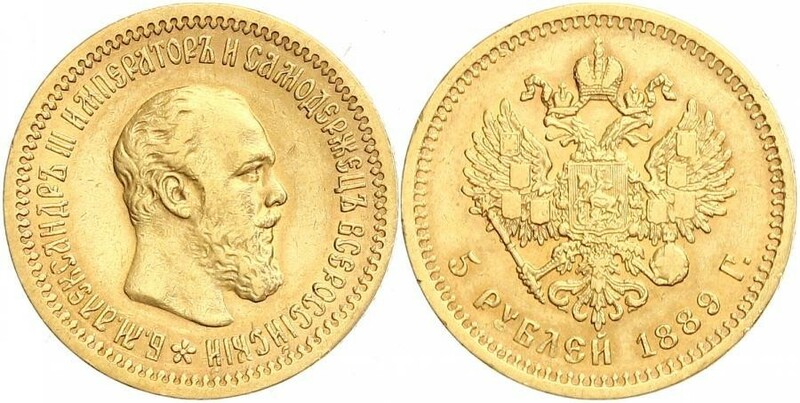 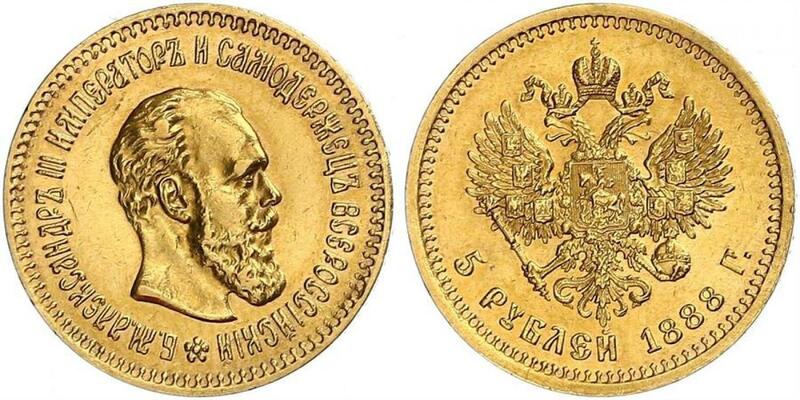 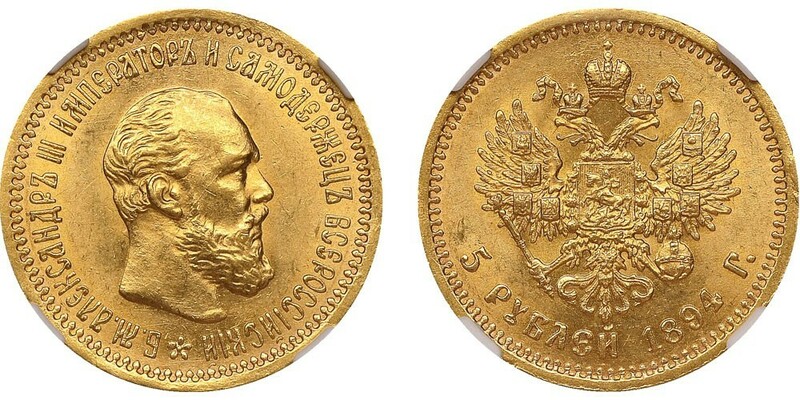 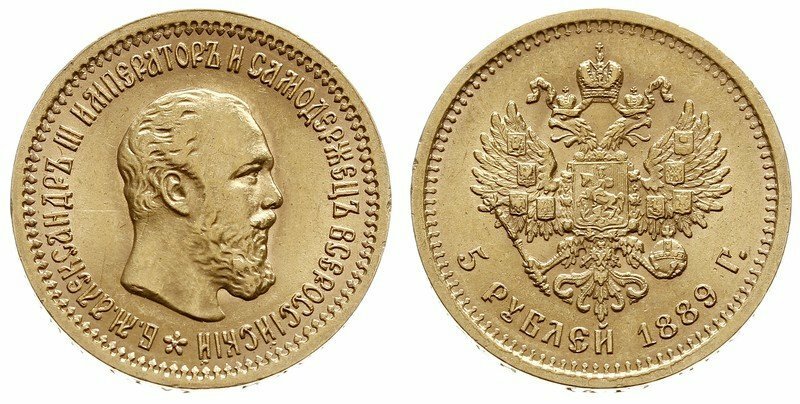 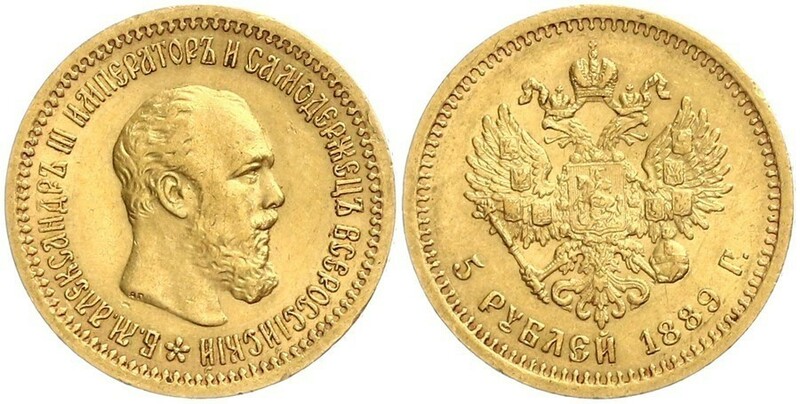 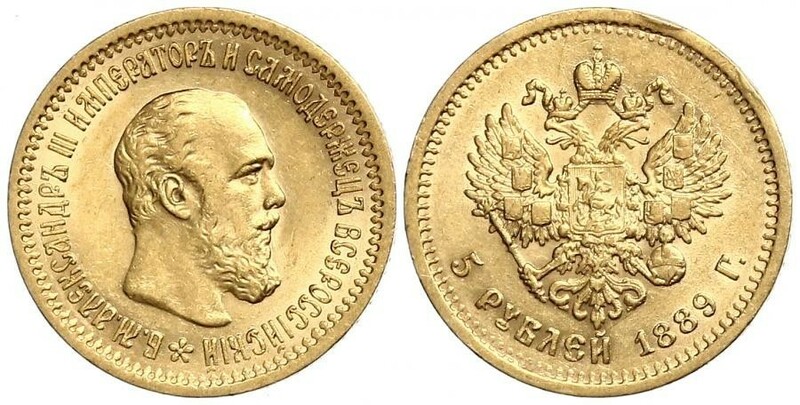 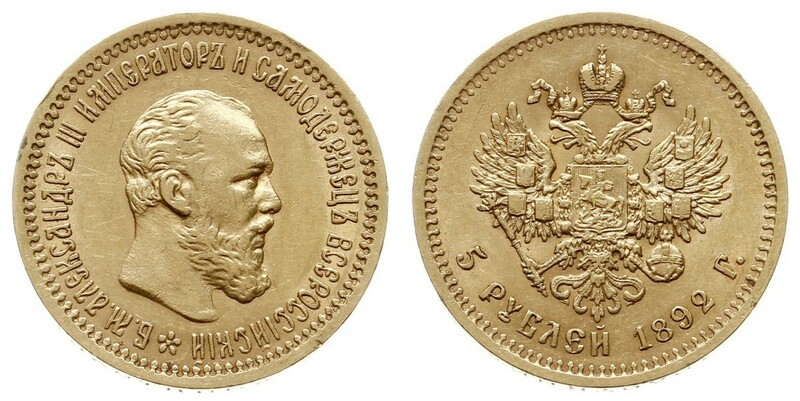 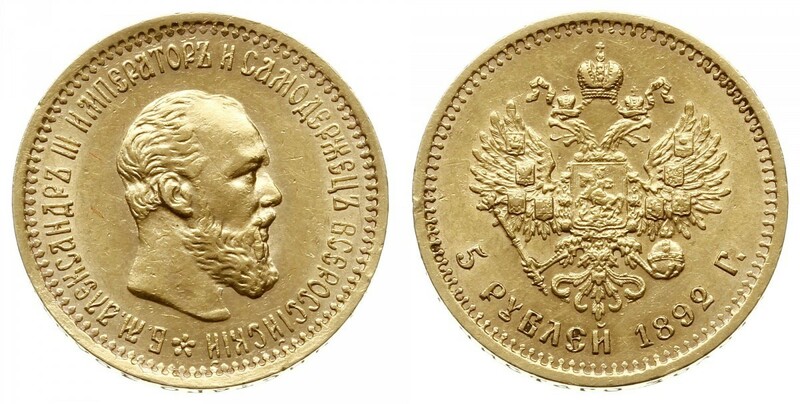 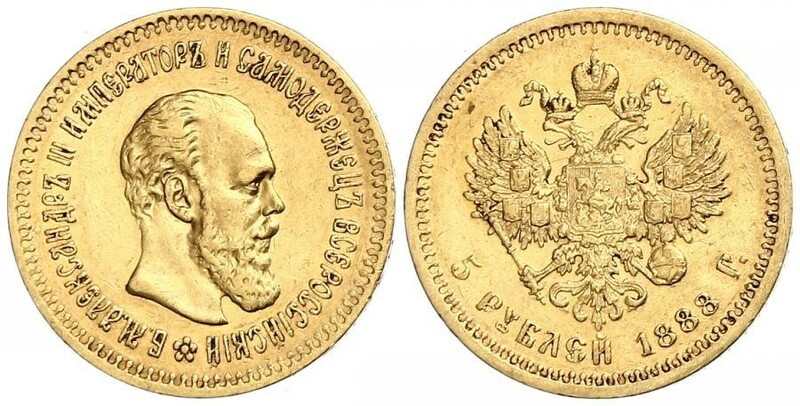 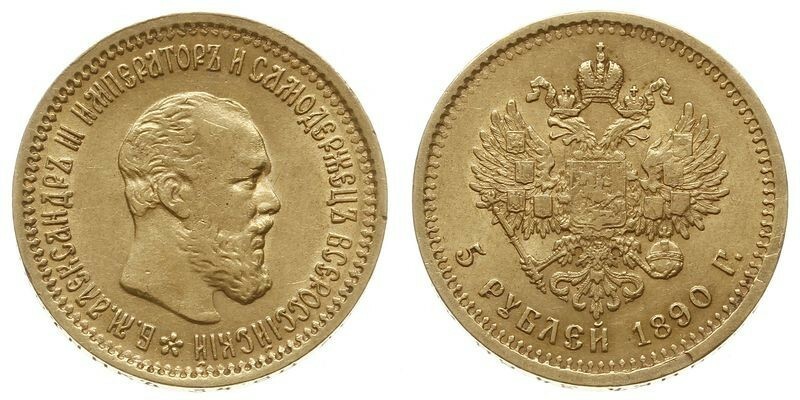 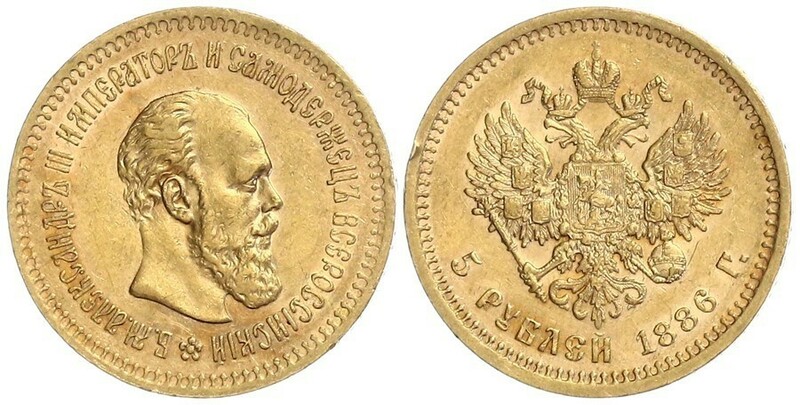 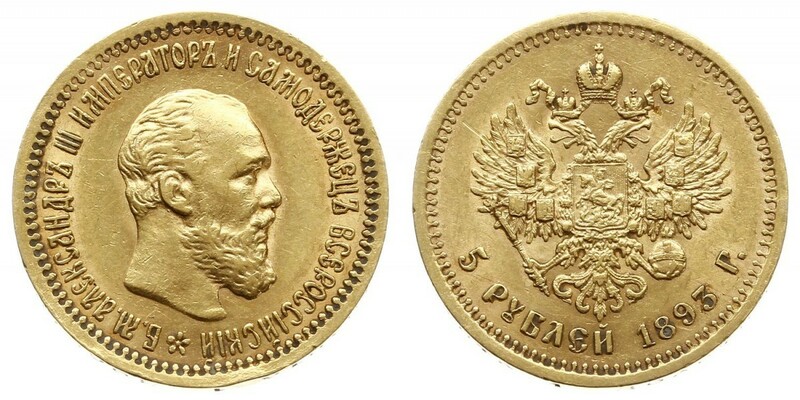 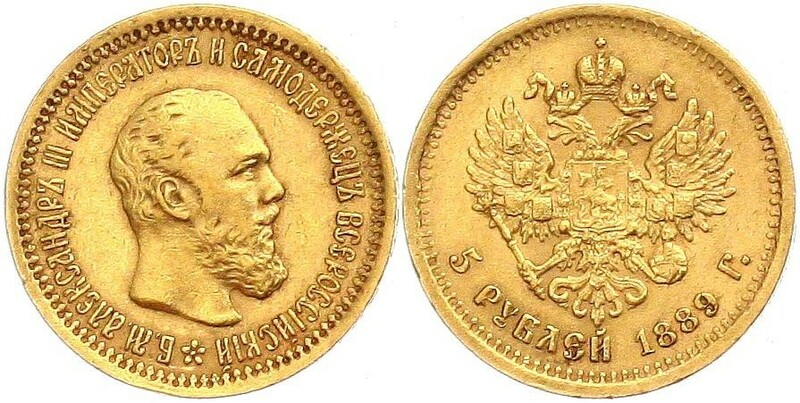 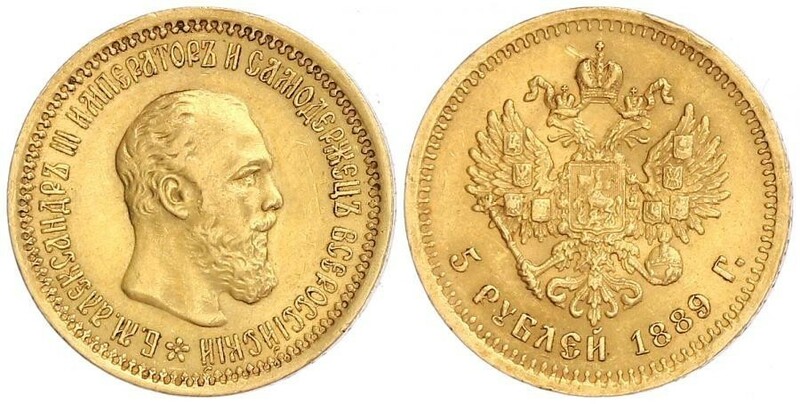 Y# 42 5 ROUBLES6.4516 g., 0.9000 Gold .1867 oz. 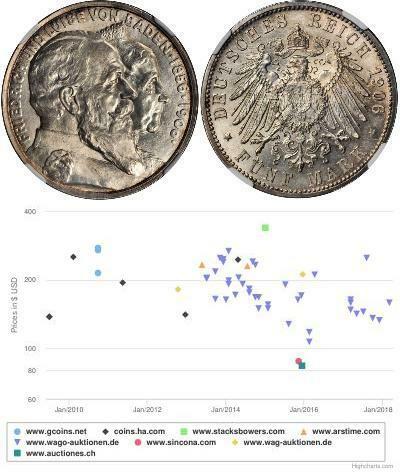 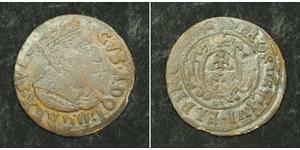 AGW Ruler: Alexander III Note:Without mint mark, moneyer’s initials on edge. 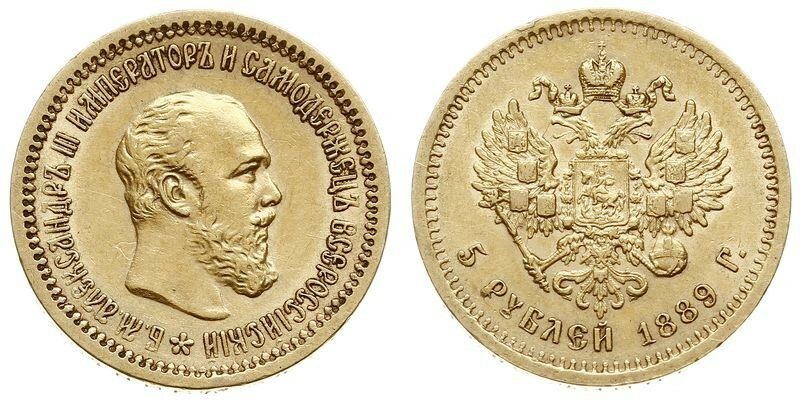 Edge varieties exist.Russia. 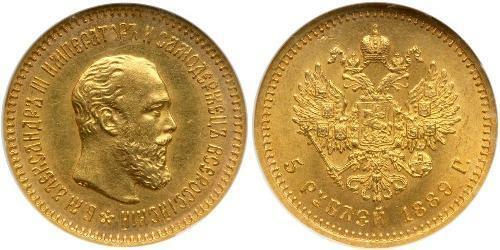 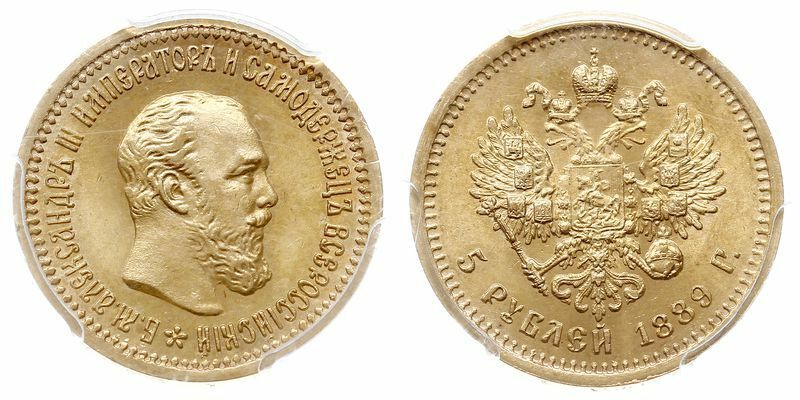 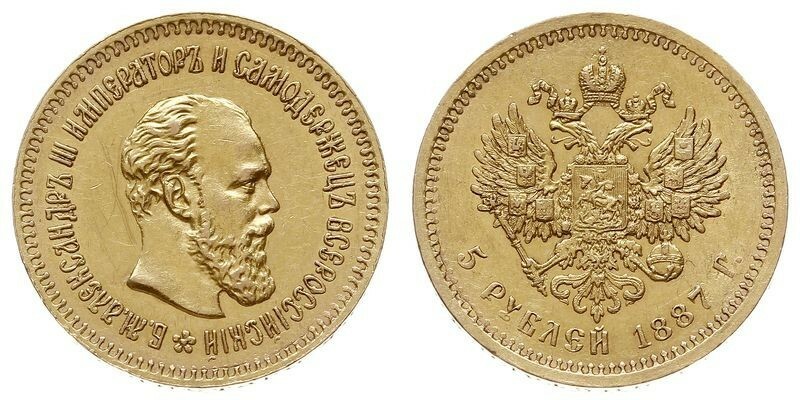 5 Roubles, 1894. 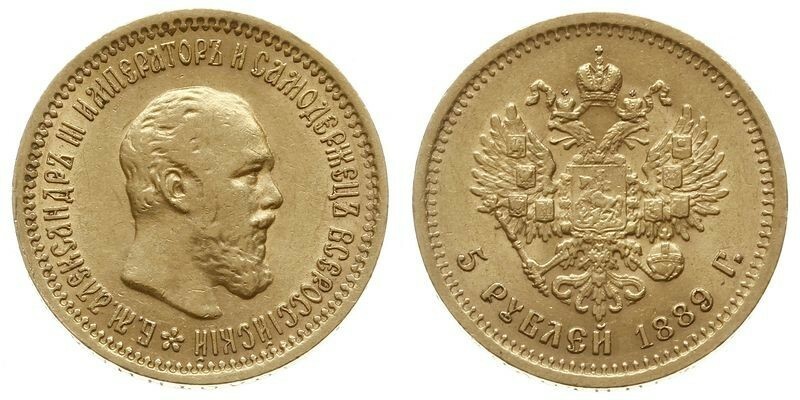 Fr-151; KM# Y-42. 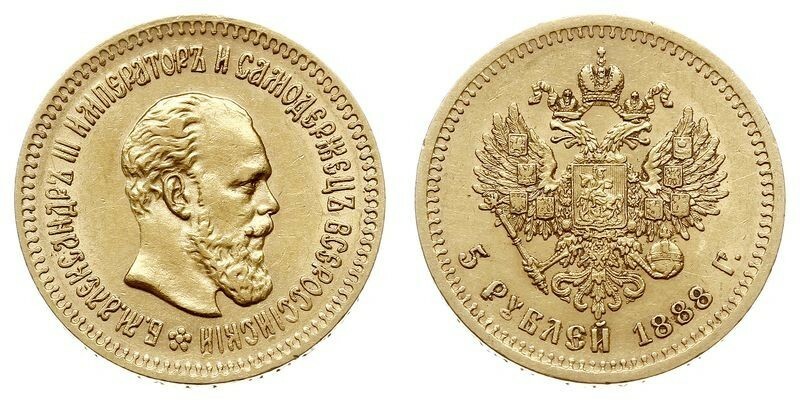 Alexander III.